4 Bedroom Terraced House For Sale in Uckfield for Asking Price £450,000. A stunning Grade II listed home situated in the heart of Maresfield Village. 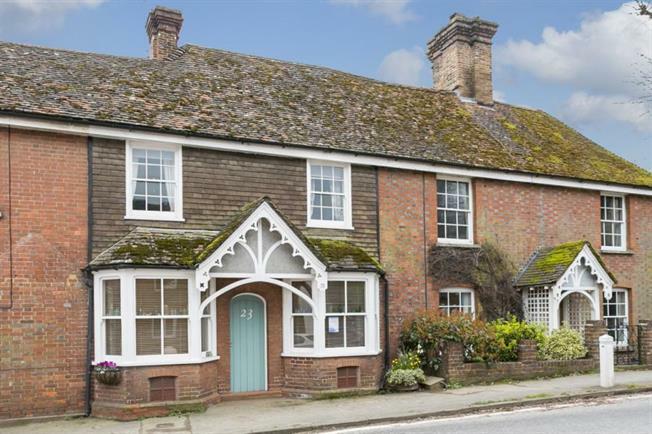 This beautiful home boosts from period features which date back to the 17th Century. Entrance into spacious dining room with feature fireplace, through to Lounge overlooking the rear garden offering inglenook fireplace and log burner. Refitted spacious kitchen with door to the rear of the property. Downstairs WC. To the first floor there is Master bedroom with ensuite shower room, a further two good size bedrooms and family bathroom. To the second floor the property offers a stunning forth bedroom boosting with period features.